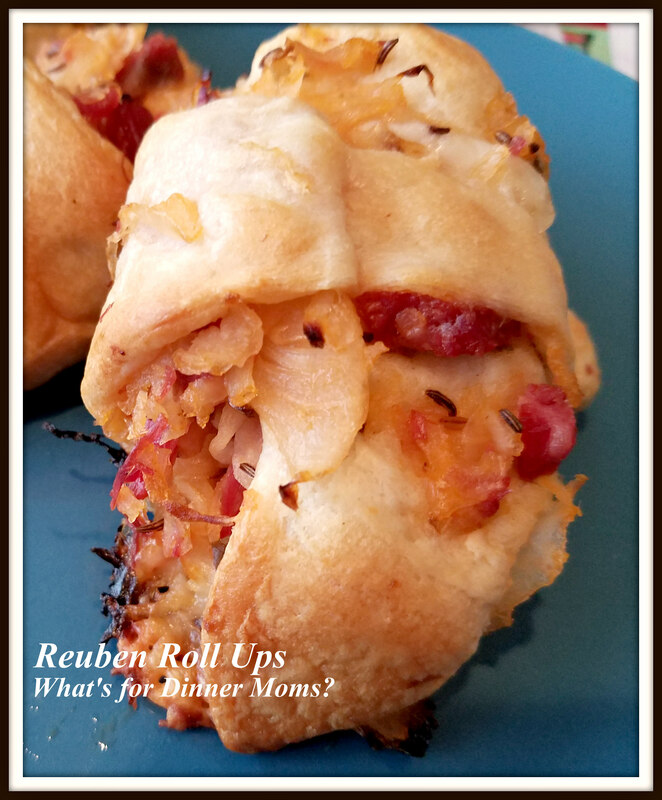 Reuben Roll Ups – What's for Dinner Moms? Happy First Day of Spring! Let’s hope the temperature tops 40 degrees today! Leftover Corned Beef is almost unheard of in my house but sometimes I make an extra large brisket just to have leftovers. Reubens are always a great way to use the leftover Corned Beef. 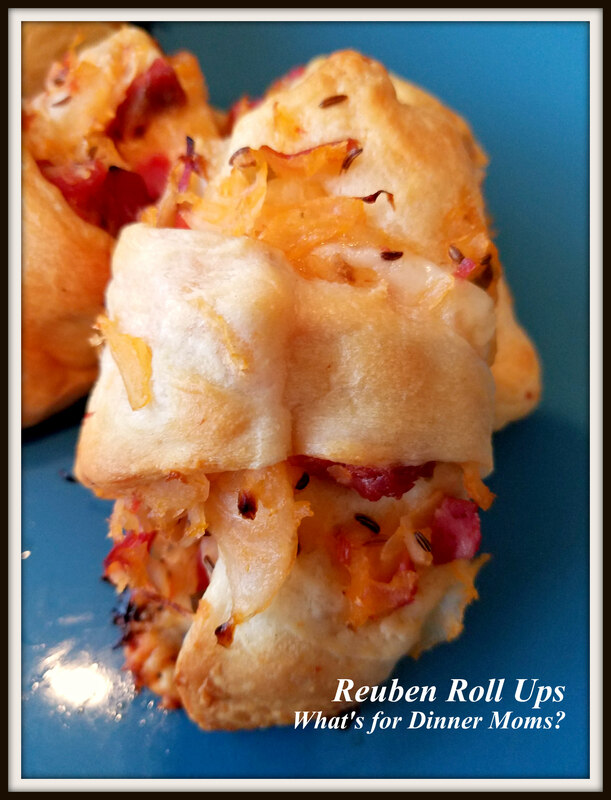 This is a twist on those Reubens. Cut them in half for a bite sized appetizer or serve them whole for a delicious quick meal. I wanted my kids not to like this recipe. They have Crescent Rolls in them and I wanted them to ask for Rye bread or say they weren’t as good as my other dishes. What did they say, “Oh, these are really good!” I have to say I agree. For how simple they were they really were a perfect busy afternoon meal with a green salad. Preheat oven to 350 degrees. Cover a rimmed baking sheet with parchment paper. Separate the crescent rolls and lay them out on the parchment paper. In a bowl mix together the dressing, Corned Beef, Swiss cheese, and sauerkraut until well blended. Taste and add salt and pepper as desired. Add 1/16th of the mixture to the crescent roll center. Roll up sides of crescent roll. Bake for 13-15 minutes until cooked through and browning. Remove from oven and allow to sit for 2-3 minutes before serving. Serve with additional Thousand Islands dressing for dipping if desired. ThIs sounds a really simple but tasty dish – perfect for a weekday meal. Mmmm… stopped and had a Rueben for lunch today! These sound delish, can’t wait to try ’em! Thank you! Super simple for a great week day lunch or dinner! This one recipe seems like another keeper. Sounds/seems delicious for sure!